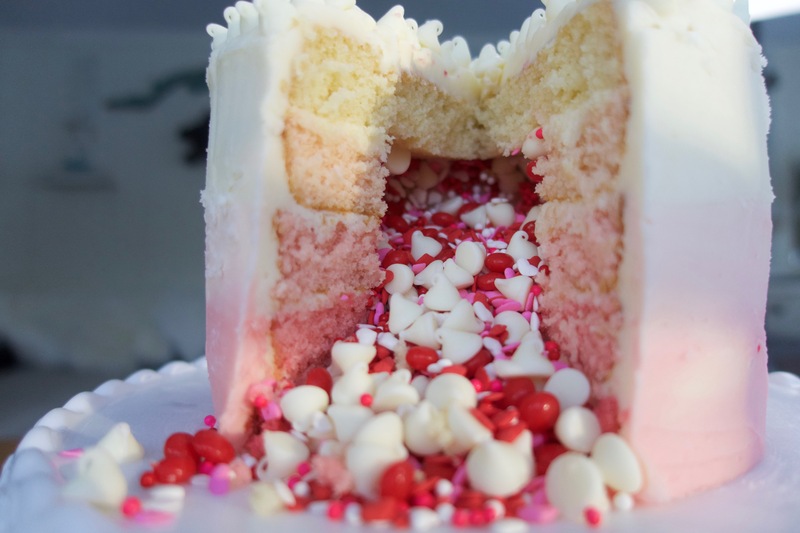 I have been dying to try to make one of these explosion cakes and with Valentines Day right around the corner, it seemed like the perfect excuse to make one. This is so fun!! Here we go, the recipe for an explosive Valentines Day! Whisk flour, baking powder and salt in a mixing bowl. In an electronic mixer combine butter and sugar, let stir until well combined. Mixing on low speed, add the eggs one at a time then add the vanilla. Next scoop 1/3 of the flower mixture slowly into the electronic mixer rotating with milk until they are both added. Mix until just combined. 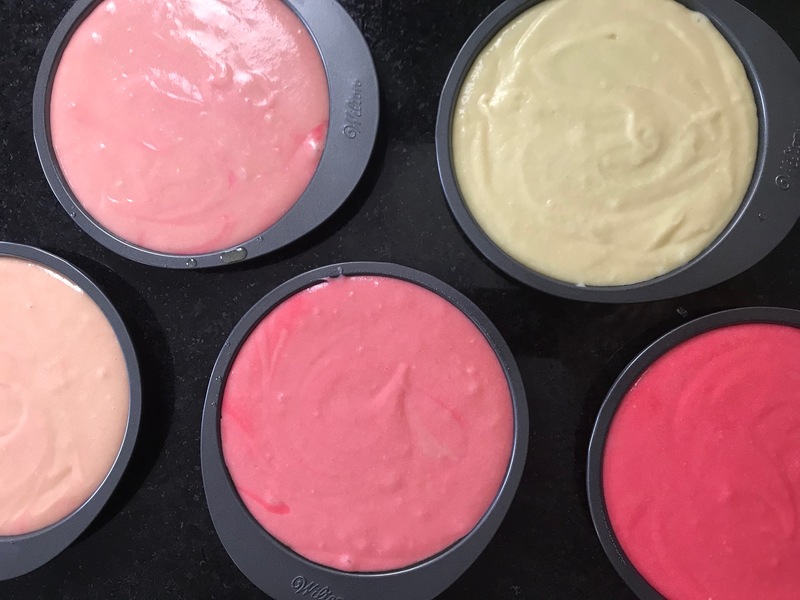 Pour the first prepared pan with white batter, then divide the rest into 4 bowls and use the red food coloring to mix various shades of pink! Pour the rest of your batter and pans and place in the over for 25-30 minutes or until a toothpick comes out clean. Once your cakes are done, stick them in the fridge to cool completely. The cooler the better – it will be easier to carve and frost your cakes cool. 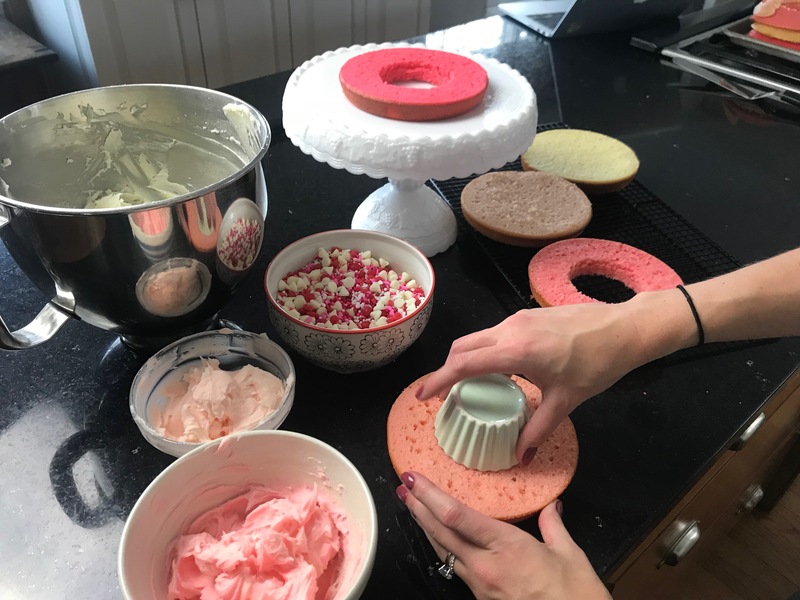 Once they have cooled (1 hour or so) use a serrated knife to trim the rounded tops of all the cakes so that you have flat layers. Next you will want to take a glass, turn it over and punch out the center of 4 of the cakes, they will look like big doughnuts! Make sure you leave your top layer whole. Set aside and prepare your icing. To make the buttercream frosting, mix (room temp) butter in an electric mixer until smooth. Slowly add the confectioners sugar and heavy cream, alternating until combined. 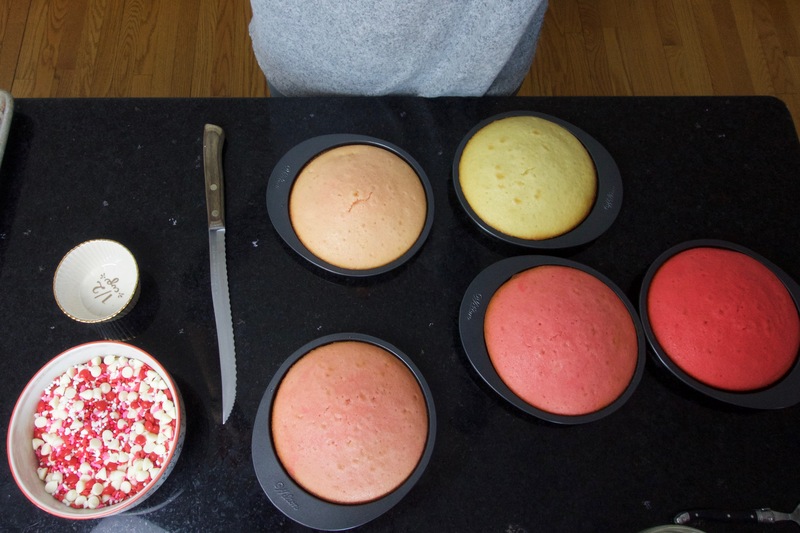 If you want to do an ombre icing as well, split your icing into 3 bowls and mix the colors to your satisfaction. I kept 1/2’s of the icing white for all the layers and top layer and split the other half in two for a mid & stronger pink colors. Smooth icing out (if you want) and decorate as desired! 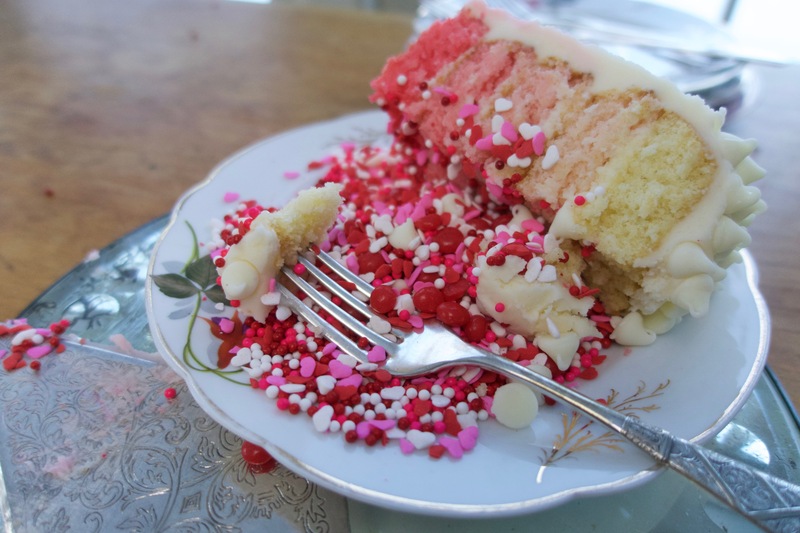 Now its time to open up your cake, and enjoy it with your valentine! Watch the explosion below & full recipe video here.